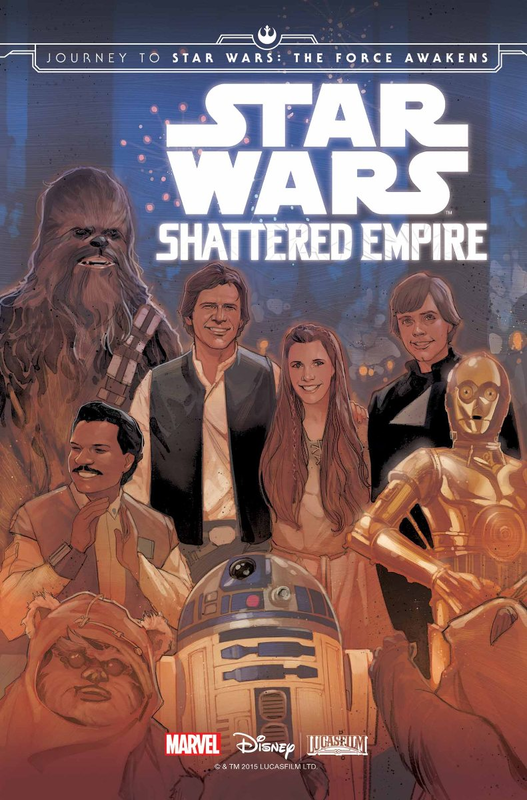 We get asked all the time what Star Wars books to start with, and with more announcements expected this weekend at New York Comic Con, we present to you: the RandomChatter Guide to the “New” Canon! This is a list and description of each of the main canonical novels and comic series that have been released since A New Dawn, the first novel on the “new” canon. Spoilers abound in the “Canonicity” sections. 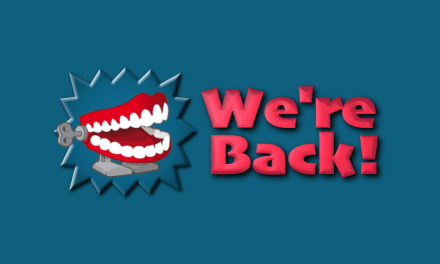 Expect quarterly updates! Note: I have NOT read all of these. This is mostly just a directory-style guide. And while the review aspects are just my personal opinion and you are welcome to skim past those, the “Canonicity” section of each entry will describe just how “important” each book or comic series are to the overall Star Wars continuity (1 = pointless, 10 = essential). Again, this is all my opinion, so please direct all pitchforks and complaints to me. 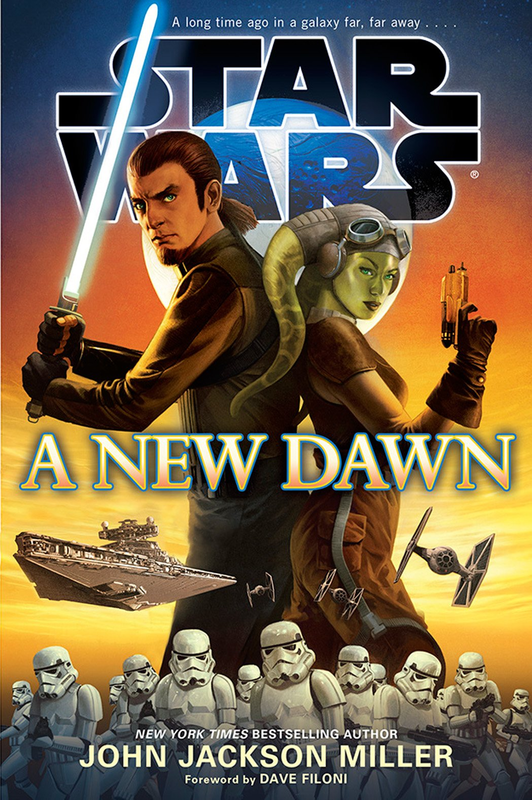 A title with probably the most obvious double-meaning of all time (and also long rumored to have been the original title of The Force Awakens, A New Dawn is John Jackson Miller’s (Kenobi, The Old Republic comic series) fast-paced introduction to Kanan Jarrus, ex-Jedi knight (well, almost), and Hera Syndulla, one-woman freedom fighter, months before they’d debut on Star Wars Rebels. The story is excellent, and it takes place on one very unique planet. The characterizations are a bit odd, as the story was crafted before the show even debuted, so Kanan is a bit more rough around the edges, while Hera is a lot more fun. Like Kenobi, Miller’s writing is well crafted and breezy, and it’s full of strong characterization. The book is worth reading for its unique villain alone, the bizarre Count Vidian, and the fantastic world building of the planet Gorse’s peculiar environment. 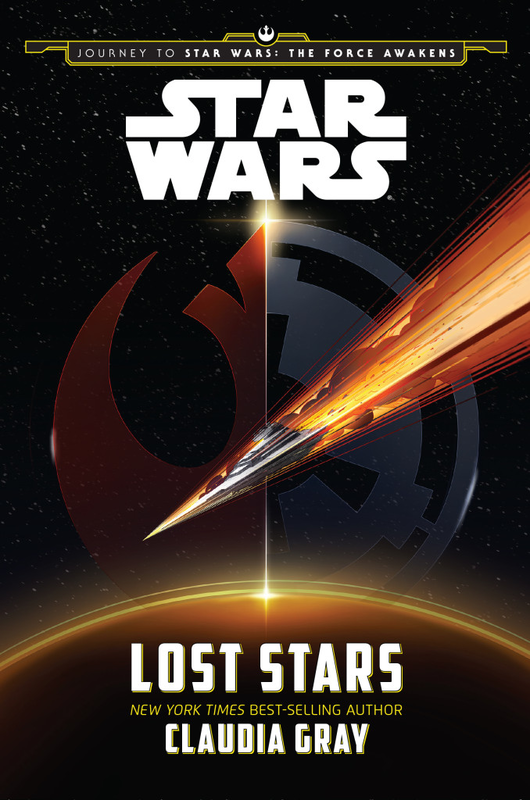 This is by no means required reading, and provides very little hints, clues and tie-ins to other Star Wars lore, aside from its introduction to fan favorite Imperial officer Rae Sloan. There’s also some brief but interesting discussion on the public perception of the Empire’s rise to power and the fall of the Republic. James Luceno is starting to be known for his heady examinations into the biographical histories of villainous characters; after all, he’s the guy who wrote one of the best novels of the “old” canon (now the Legends Universe), Darth Plagueis. Now, he tries his hand at a less supernatural character, Grand Moff Wilhuff Tarkin. 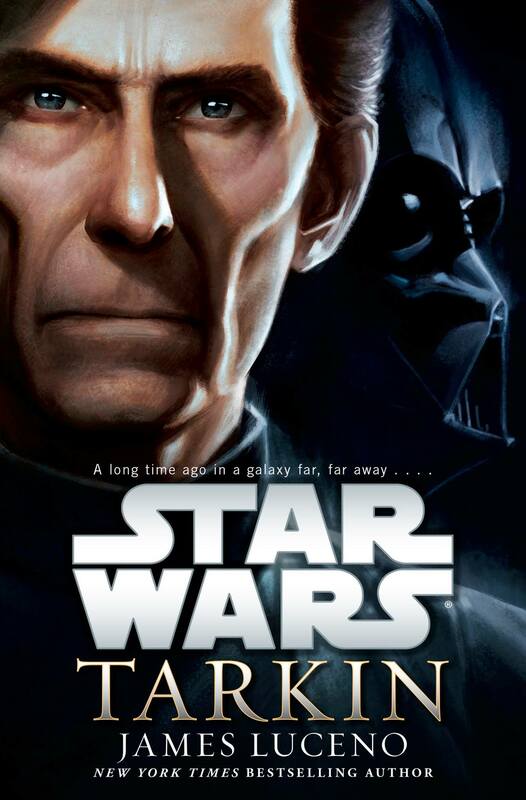 Amidst a plot somewhat lacking in consequence, the novel is full of intriguing flashbacks to Tarkin’s dangerous upbringing on his homeworld, which is basically a mix of The Most Dangerous Game and The Heart of Darkness. Lots of hunting, brusque masculinity, and British (?) people. I thought the main plotline was too thin to be fully engaging, and I found myself skimming a lot. The flashback sequences, however, were a British literature fan’s dream come true. This was hard to determine; while it’s loaded with minor references that Legends fans were pleased to see canonically, the story itself was of little consequence. We learn Emperor Palpatine’s shocking first name, as well as how much exactly Tarkin knows about Darth Vader’s past. Oh, and kyber crystals play a huge part in the plot, which are rumored to play a role in Rogue One this December (kyber crystals are a mineral that fuel both lightsabers and the Death Star’s laser; you can probably guess which one Tarkin cares about). 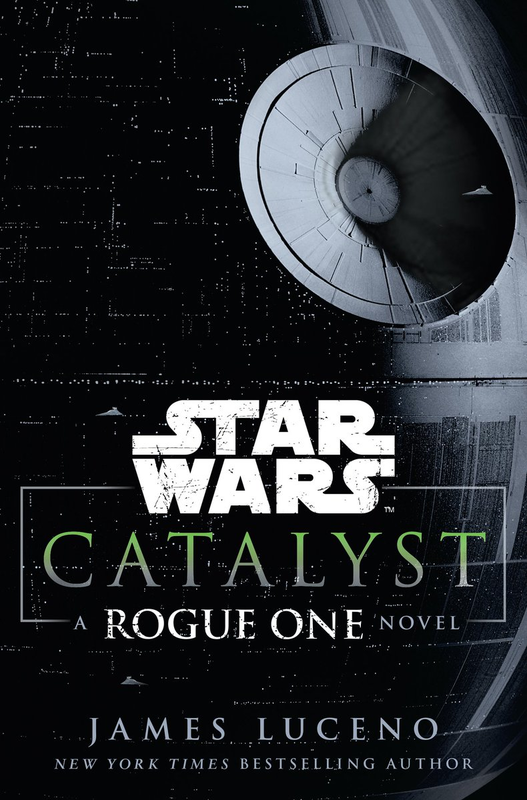 Funny enough, Luceno is writing has written a Rogue One prequel novel, Rogue One: Catalyst, which could very likely include kyber crystrals. Is James Luceno becoming Lucasfilm/Del Rey’s resident kyber crystal expert? Only time will tell. 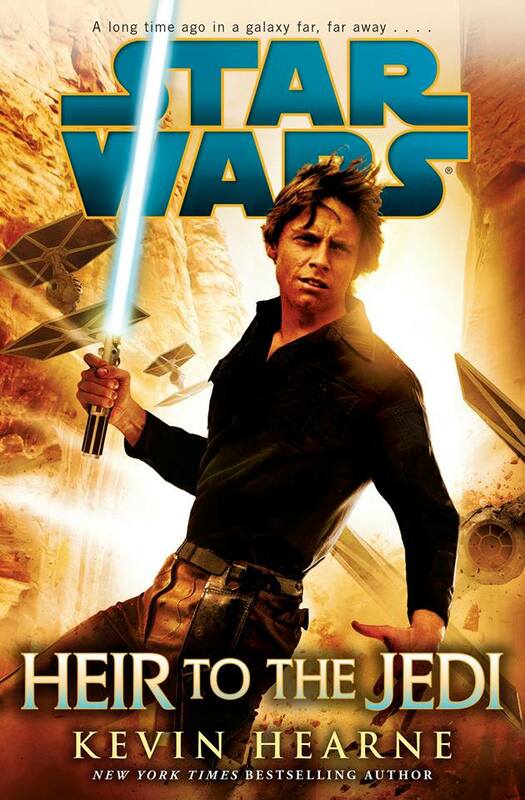 Kevin Hearne is a beloved serial fantasy writer, and he penned this first-person Luke Skywalker story. The novel concerns Luke’s quest to learn about the force after A New Hope, when he is left without a mentor. It was originally part of a pre-canon series of novels, Empire and Rebellion, which was to feature Leia and Han Solo, respectively. By the time the Luke novel came out, novels had already been declared canon. That’s why this one is a little weird; it’s too inconsequential to really matter whether or not it’s canon. I didn’t read this one, primarily because, I’m sorry to say, I was strongly recommended against it. But I know a whole lot of people also had fun with it. Okay, so you’re probably wondering how well I can answer this question without having read the book. Well, this novel was originally part of a pre-canon series of novels, Empire and Rebellion, which was to feature Leia and Han Solo, respectively. By the time the Luke novel came out, novels had already been declared canon. That’s why this one is a little weird; it’s too inconsequential to really matter whether or not it’s canon. Supposedly, we learn about Luke’s first time using the Force for levitation. Paul S. Kemp transitions to the new canon with a unique, action-oriented tale of Darth Vader and Palpatine, stranded on a planet up against the rebel forces led by The Clone Wars’ Cham Syndulla. 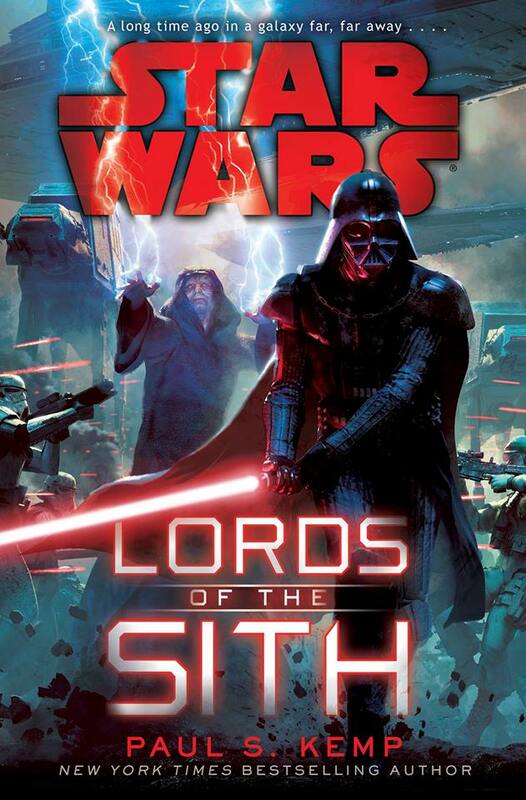 I’m not usually drawn to “action-oriented” novels, as I find them not fitting of the medium, but I want to read this one day to get a better look at Vader and Palpatine’s weird master-apprentice dynamic, which seems to thrive on their hatred of each other. A lot of fans love this one, but I can’t offer an opinion one way or the other. Cham Syndulla is a Clone Wars and Rebels character, and he’s the father of Star Wars Rebels’ Hera Syndulla. This novel provides some context as to his whereabouts outside of those two animated series. I’m not sure if there are many significant revelations regarding the Vader/Palpatine relationship. Remember Zare Leonis? No? Well, he was the student at the Imperial Academy who befriended under-cover Ezra Bridger in an episode of Star Wars Rebels. After his Force-sensitive sister is kidnapped by the Empire, this middle-grade series of short books follows Zare’s top-secret quest to find her from within the Empire. 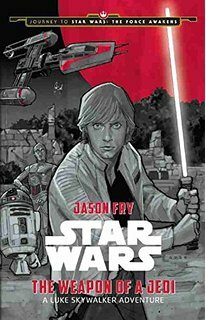 Didn’t read this one either, but Jason Fry is a fantastic author, and I’ve heard nothing but good things about this series, especially from the folks at Tosche Station Radio. For such a fringe series, this rating is probably higher than you’d expect, but the books introduce us to Brendol Hux, who will go on to play a huge role in founding The Force Awakens’ First Order. There are also lots of bits about how the Empire works, and, we should mention, the role of the mysterious Inquisitors. This is probably the most publicized book of the New Canon, but also the most polarizing. While it was expected to be the Heir to the Empire of the New Canon (the first post-Return of the Jedi story, which continued Leia, Luke, and Han’s stories while also introducing the *ahem* legendary Grand Admiral Thrawn and Mara Jade), it turned out to be… well, some of that, but mostly an introduction to a small team of Rebel misfits and their involvement in one of the final conflicts with the fading Empire. Rae Sloan returns, this time as a Grand Admiral, a ranking that had previously been EU-exclusive. While I appreciated author Chuck Wendig’s attempt to try something new — he is probably the most unconventional of all Star Wars authors — his writing was too casual, too quick, and too dialogue-heavy for my tastes. I also found the main plot as well as the action scenes to be pretty dull. However, the Imperial side of things was extremely engaging, and I was racing to get to the Han/Luke/Leia subplots as well as Wendig’s famous interludes. If you want to be on top of what happens in the world of Star Wars, Wendig fan or not, this is pretty much essential. There are many interludes that discuss characters from Chewbacca to Boba Fett, and even some stuff that some readers theorize to be related to the Knights of Ren (as in, Kylo Ren). The only odd thing is that these interludes really don’t matter to the book’s story, but rather the Star Wars story in general. As an active member (or maybe more of an observer) of the fan community, no other book seems to be as well-loved as this young adult wartime romance. Unfortunately, this one is still unopened on my shelf, but through her unique perspectives into classic Original Trilogy battles such as the Destruction of the Death Star and the Battle of Hoth, author Claudia Gray more than proved herself worthy of taking the reins of Bloodline, one of the most important canonical books to date. Many fans consider this to be one of the best, if not the best, Star Wars novels ever written. I, however, can neither confirm or deny that claim. While this book is highly renowned among fans, it’s not essential reading to the overall canon. 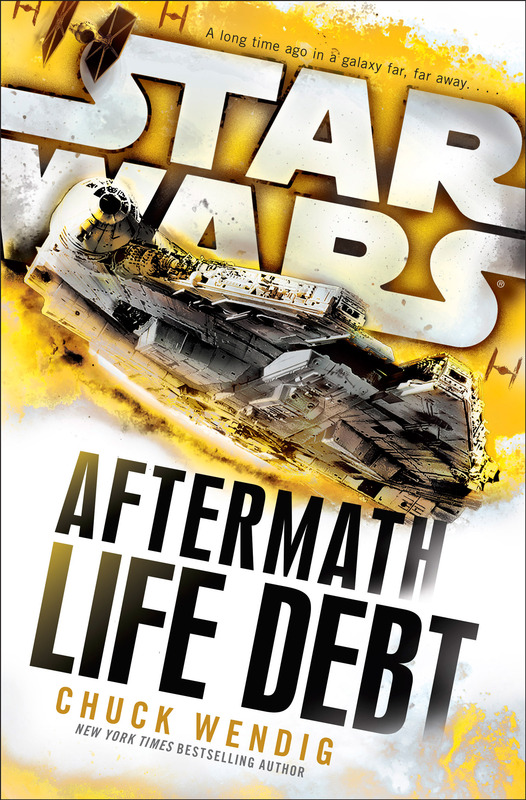 We do see some interpersonal perspectives on major Star Wars events, and we get our first insight into the Battle of Jakku, but we don’t really get much information on the motives for the conflict, which, as Aftermath: Life Debt later suggests, seems to be pretty crazy (in a good way). 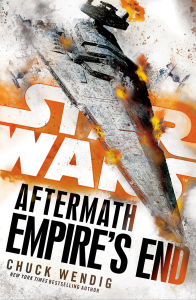 The battle will play out in full in Aftermath: Empire’s End. As I discovered on the Western Reaches podcast, author Alexander Freed is a talented guy with an insanely good taste in books. I haven’t gotten to this one either, however. You’re probably seeing a pattern, and yes, it’s true; I do tend to read books that matter more to the canon. I heard it was absolutely wonderful. Former ForceCast hosts Meg and Saf have raved about it on their new podcast Western Reaches. If you are into the war aspect of Star Wars, or the Original Trilogy era, definitely seek this out. 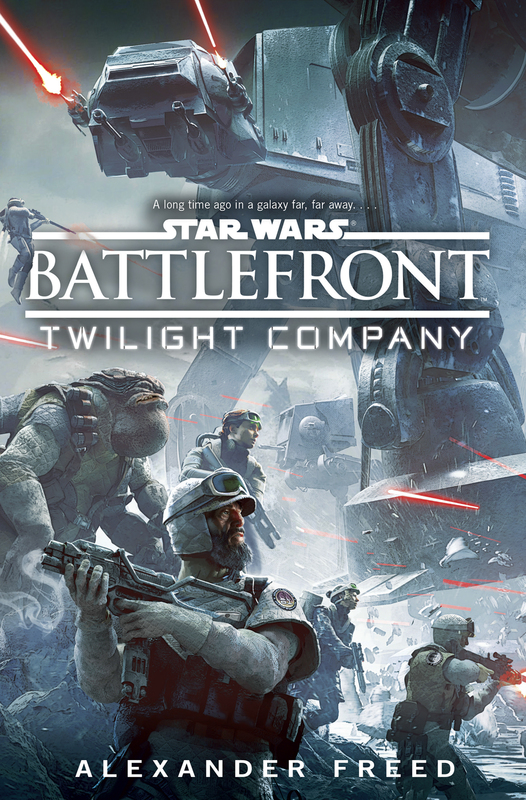 Similar to Lost Stars, Twilight Company features new characters, engaging in familiar battles. And, therefore, it just doesn’t provide much insight into the overall canon. This is probably one of the most underrated New Canon novels. Marketed toward younger readers, it’s really an all-ages ordeal, like all good Star Wars is. Telling the tales of Finn, Rey, and Poe in the days leading up to the events of The Force Awakens, the book is addicting, interesting, and insightful. I challenge you to not read it in one sitting. Full of new characters and old, this book fills in plenty of gaps that TFA didn’t have time to explain, but in a much more interesting way than I’d ever expected. This is where to go for background information on the new “trio of young leads”, as Disney CEO Bob Iger so famously and ominously called them. Ever wonder how Poe Dameron gets along with Leia, or how he learned about Lor San Tekka? Or how about why Rey is such a good pilot when she’s never even left Jakku (well, for most of her life, anyway)? Some seems a little out of place; like, for example, Finn being the top soldier at the First Order academy. I like the idea that he’s an average joe with a good heart, but it works for this particular story. This novelization is a different animal than novelizations of the past. There are much fewer insights and revelations than the others have provided, and those that are there? Well, the Story Group, who calls all the shots when it comes to canon, is a little unclear on whether we can consider those official. But those tiny moments, if canon, are pretty intriguing. I like Alan Dean Foster’s simple, traditional style, but this adaptation is pretty bare bones. Some of the humor is lost in the formal tone, but that’s why we have the movie! It’s weird not to give a film novelization a 10, but until those handful of revelations are proven to be true, I can’t say this is a totally reliable source. 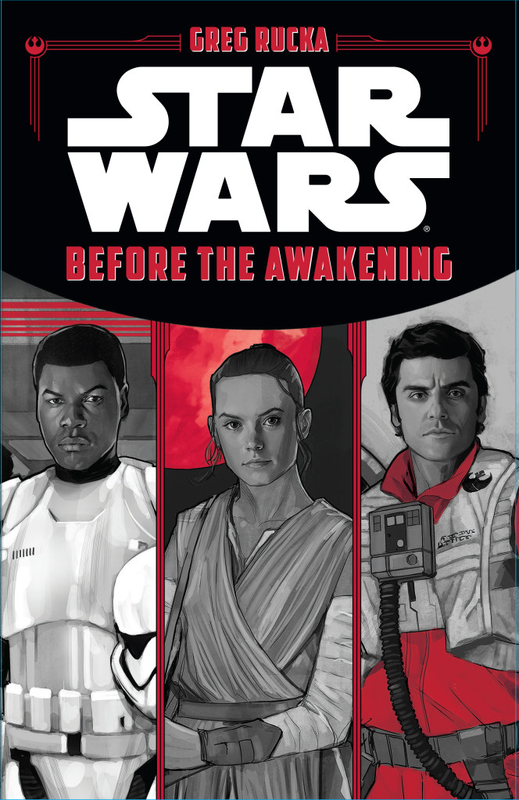 One of three novels aimed at younger readers about the Big Three, this story focuses on a younger Leia, and it’s bookended by Force Awakens-era Jessica Pava, a Resistance pilot on Poe Dameron’s squadron. I have not yet read this one, but reviews appear to be favorable. This novel provides little in the way of canonical revelations beyond some insight as to how active Leia was in the Rebellion (spoiler: very), and how she is perceived by the Resistance many years the events of Return of the Jedi. 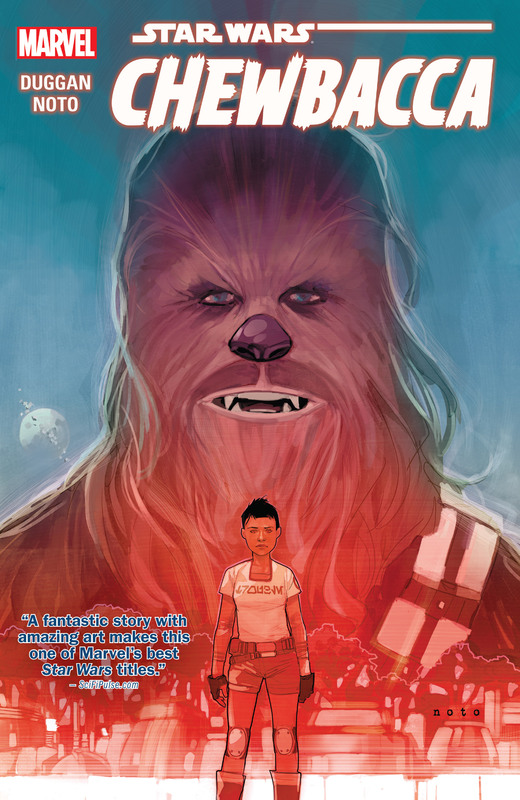 One of three novels aimed at younger readers about the Big Three, this story focuses on a younger Han and Chewbacca, and it’s bookended by Force Awakens-era Jessica Pava, a Resistance pilot on Poe Dameron’s squadron. I have not yet read this one either, but I have also heard good things. There seems to not be much here in the way of canonical revelations, but it was interesting upon its release as it gave us our first experience with the older Han Solo of The Force Awakens. Similar to Moving Target and Smuggler’s Run, it’s another flashback tale told to Resistance pilot Jessica Pava about one of the big three, this time about Luke Skywalker. Lauded by fans as one the best novels of the new canon, this book is often overlooked due to its younger target audience. However, it’s much more Young Adult than one would expect, telling an early tale of Jedi training in the same vein as Moving Target, Smuggler’s Run, and Before the Awakening. I haven’t read this one, but again, I’ve heard it’s one of the better books of the new canon. Plus, it’s one of the few glimpses you’ll get of Luke Skywalker these days, aside from the heavy-handed Star Wars comic series. This story features Luke’s first lightsaber fight and a romance, as well as a Jedi-related planet that could possibly come into play in later movies, and perhaps hint at some of Luke’s post-ROTJ travels. This compendium of short stories by author Landry Q. Walker is aimed at middle-grade readers, but fills in some backstory about some of the aliens featured in The Force Awakens, primarily from Jakku and Takodana. Think Tales from the Mos Eisley Cantina, only… canon. And maybe a little less gristly. Wait, can we get a Volume 2 over here? This is low on my to-read list, but (I’m sounding like a broken record, but I swear, I’ll get to it soon!) I have heard great things! I always forget about it. The Force Awakens, in my opinion, didn’t spend too much time with its awesome aliens, particularly not the infamous Constable Zuvio. 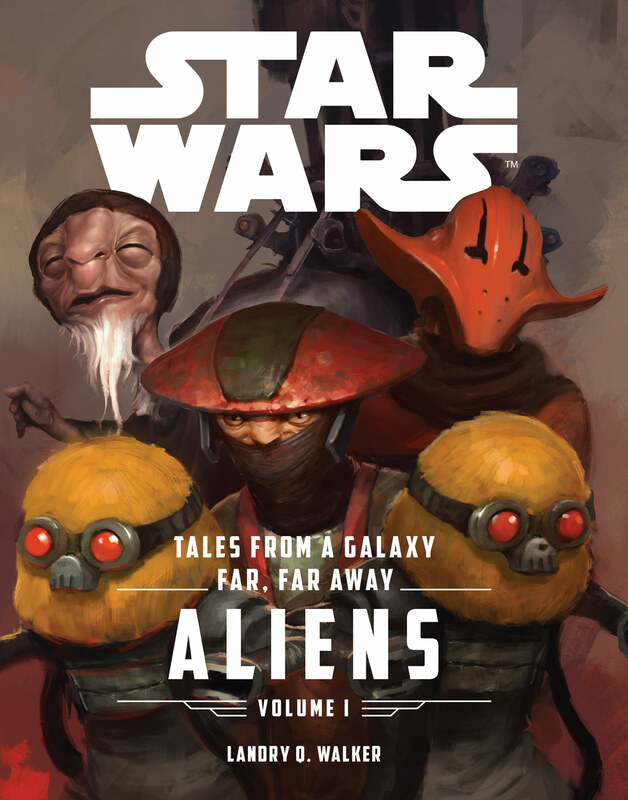 Zuvio, Unkar Plutt, Baba Joe, and several folks from Maz Kanata’s castle are featured in this somewhat canonically inconsequential collection. There is some interesting Dooku talk in one of the stories, however! 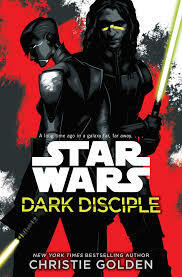 Fan favorite characters Asajj Ventress and Quinlan Vos pair up in this romantic adventure based on some unused Clone Wars storylines after the two characters’ story threads were left untied. I’m not a fan of either starring character, but Clone Wars fans seem to universally agree upon the high quality of this niche novel. Asajj is a pretty important character; she’s a Sith trainee gone rogue, then she never shows up again in anything else. This book gives her character the closure she deserves, even if it’s not required knowledge. Of all non-film material released so far, this novel is undeniably the most essential; in fact, they should have handed out copies to fans standing in line for the premiere of The Force Awakens. I can’t blame J.J. Abrams and company for wanting to avoid political drama after the backlash against the prequels’ lingering senate scenes and the like, but there are still many unanswered questions in the film itself. Why is Leia all on her own? Was that planet that blew up Coruscant? (Is it fair to expect fans to look up the fact that it was actually a new world called Hosnian Prime? I digress.) Set roughly five to ten years before The Force Awakens, this novel is all Leia, all political turmoil, all high-level manipulation, while also loaded with revelations about everything from the public perception of the Skywalker line, to Leia’s contentious relationship with the Force. I alluded to this earlier, but Claudia Gray is a fantastic author, and she is far (far) and away the best current Star Wars author. And it’s perhaps more timely than ever before, as a well-liked career politician faces a darker foe than many people realize. There are plenty of familiar faces, including a lot more Han Solo than I ever expected, and the new ones are so good that they rival some characters in the film. This novel is the ultimate The Force Awakens prequel, and not only gives us the most personal insight into Leia than ever before, but it reveals the secret origins of the Resistance and the First Order. The unexpected Rebel (or New Republic) crew is back, and this time, finally, they’re teaming up with the traditional characters. 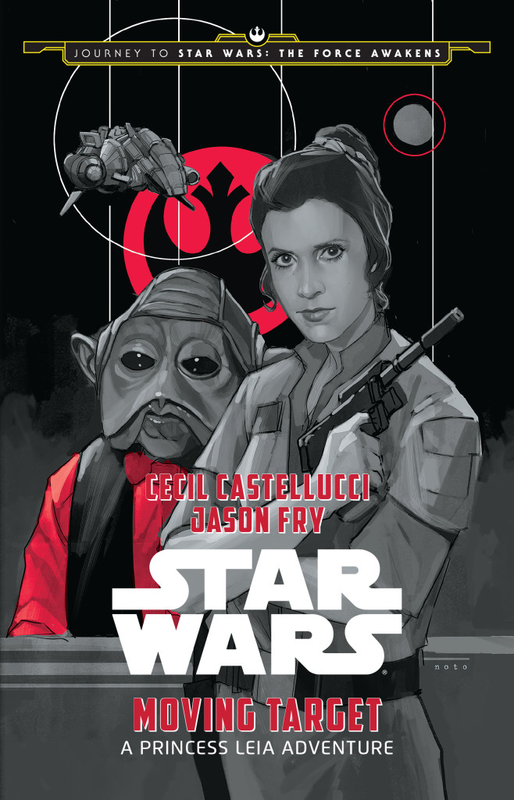 Leia tasks them to find her husband, and in the process, they get caught up in a brutal conflict on the Empire-occupant tree planet of Kashyyyk. Meanwhile, our canon-friendly pal Grand Admiral Sloan is struggling to maintain true control over the Imperial Remnant while a creepy, mysterious fleet admiral, who makes a rumor-swirling presence at the end of Aftermath, uses her as his puppet. I can’t say anything without spoiling the juicy secrets of this fleet admiral, and it isn’t revealed until the very, very end, but it is the best mystery I’ve ever encountered in a Star Wars novel. 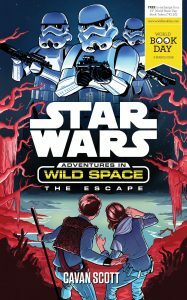 While I loved this book, there were some long, long action sequences that could not hold my attention, and the ones on Kashyyyk were wasted — why place the novel on a tree planet but have the action take place in a prison? Oh, well. I wasn’t too stoked about the Rebels’ plotline; it was the dark, weird evolution of the Empire that had my attention. There were some even better interludes here, and I actually really liked Wendig’s new scrappy group of Rebels this time. This is pretty close to Bloodline in terms of necessity. 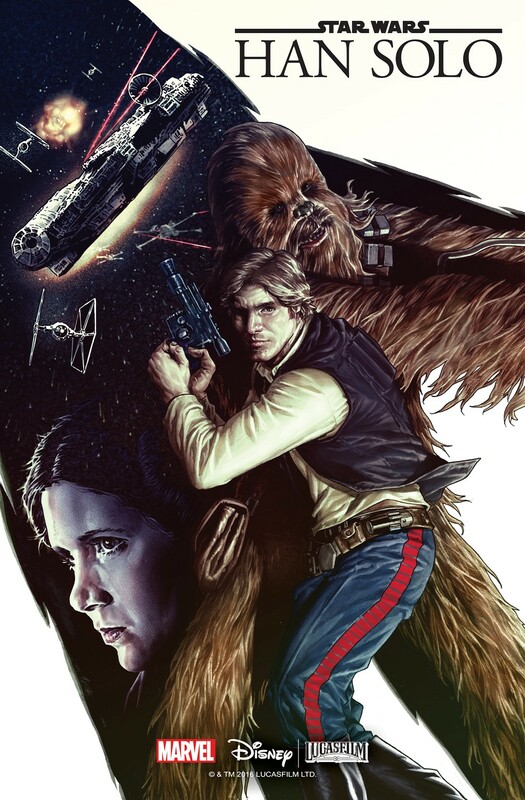 All of the Big Three are present here — Han, Leia, and Chewie (okay, so no Luke, but we’re used to that by now, aren’t we?) — and there are some extreme revelations about each of them. And if you ever wanted to know more about the dark side of the Empire — and I’m talking secrets, not the Sith — then you’ll love how much this book ups the creep factor. 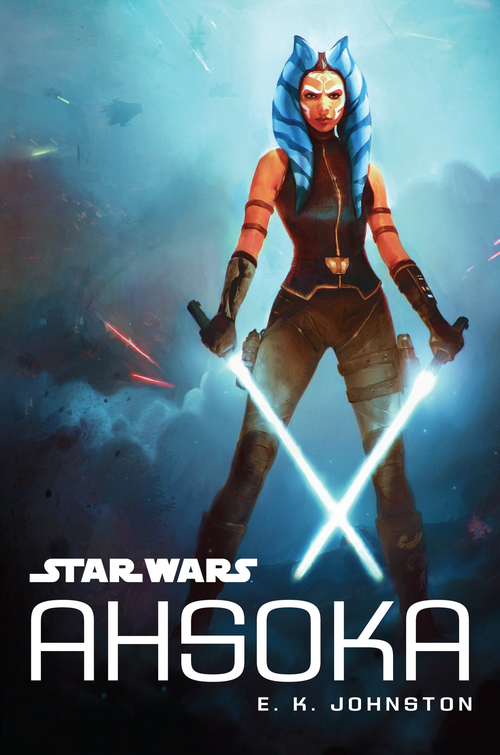 A YA-targeted novel written by a high profile YA author, this novel fills in the gaps of Ahsoka’s life between The Clone Wars and Star Wars Rebels. What do those adventures entail, exactly? The Siege of Mandalore?,Her construction of her two white lightsabers? Her involvement with the Rebellion? Hints toward her ambiguous fate at the end of last season of Star Wars Rebels? I couldn’t finish this one; I just was not engaged. The writing and story was fine, but there were just too many characters and just didn’t feel like Star Wars to me, whatever that means. Check out our other thoughts on this one in our round table review! We finally have more insight on Ahsoka’s post-Clone Wars life, though it could use more depth. There are intriguing flashback scenes, as well as more, you guessed it, kyber crystals! James Luceno is known for his expansive deep-dives into continuity and detail, as featured in acclaimed novels Star Wars: Darth Plagueis (which is unfortunately no longer canon), and Star Wars: Tarkin (mentioned above). 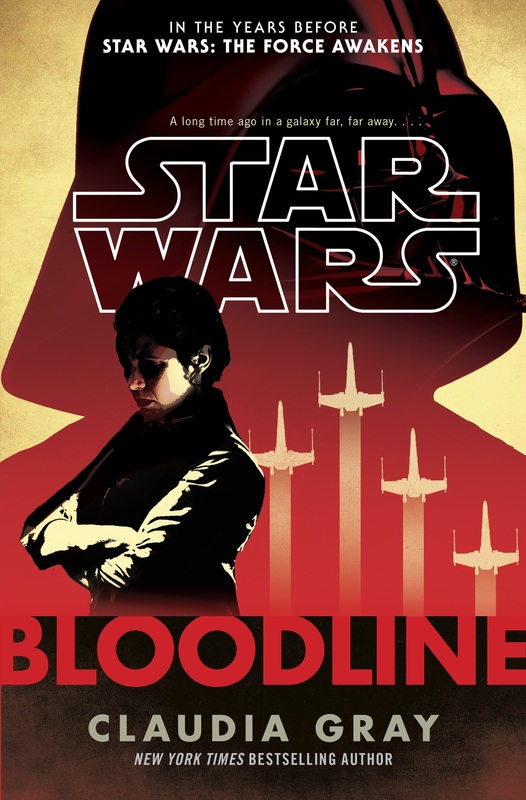 This novel takes us into the past of two brand-new characters, Director Orson Krennic and scientist Galen Erso, and their friendship gone sour. Both characters are key characters in Rogue One, and their past plays heavily into the film’s plot. I fully understand that this book is not for everyone; it’s heavily character focused, and it mostly relies on description and exposition. But, when it comes to Star Wars, that’s the stuff I crave. I also love Ben Mendelssohn and his Krennic character, so I loved getting to explore his character more, especially since his role ended up being relatively small in Rogue One. The writing style was wonderful and Dickensian, though I will eternally complain about Luceno’s inexplicably frequent use of the following descriptors: “pregnant”, “negligently”, and “with purpose”. There is no more necessary reading than Rogue One: Catalyst. Almost to a fault, the novel greatly enhances one’s viewing of the film, as it provides vital backstory for two characters whose roles were far too small, and whose role sizes have even been victims of last-minute edits and reshoots (I know, I know — but it’s possible). If you ever wondered how the Death Star went from the Separatists to the Empire, here’s your answer. In fact, if you ever wondered how the Death Star worked, or about the minutia of crystals in the Star Wars universe, this book is for you. 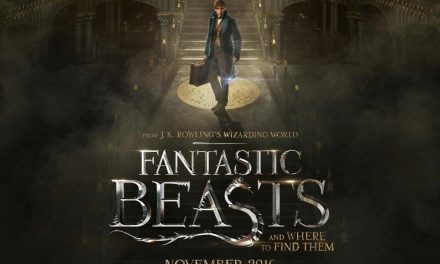 Released on eBook and audio the same day of the film, we’re still waiting on the print version. However, this is better than your typical novelization: unlike The Force Awakens, we get a deeper insight into character thoughts and motivations, including additional dialogue and context that was missing from the film. 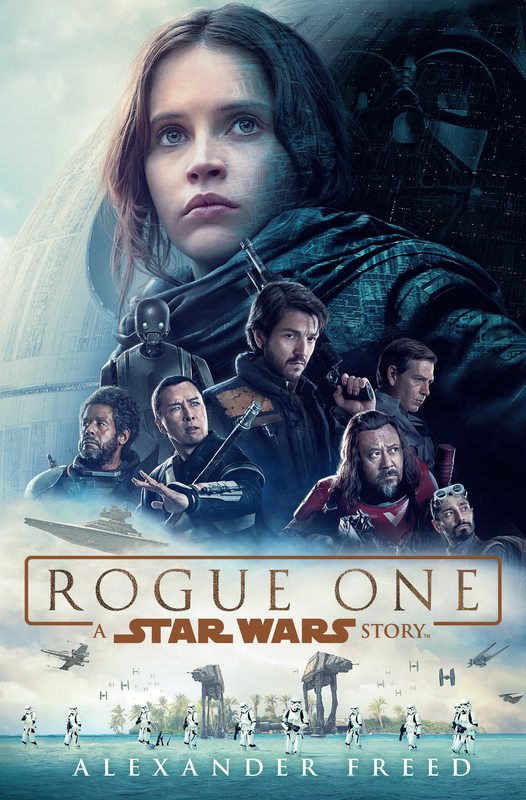 Rogue One is one of my favorite Star Wars films, but I can acknowledge that it was overstuffed at times; big ensemble cast, I get it — it happens. But… Bor Gullet? Draven’s motivations? Things like this weren’t exactly clear to those who haven’t read Catalyst, or even to those who did. This book fills in a lot of gaps, and it does so with beautiful prose by one of the new canon’s most impressive talents, Alexander Freed. 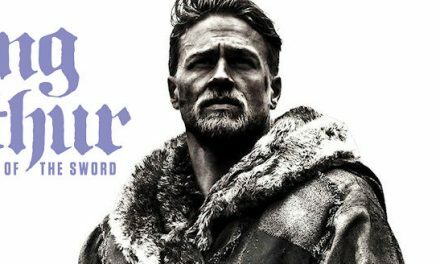 Check out what we thought about the movie in general here! It provides brief but vital context about the Rebellion and those involved, and it clarifies a great deal of character motivations. 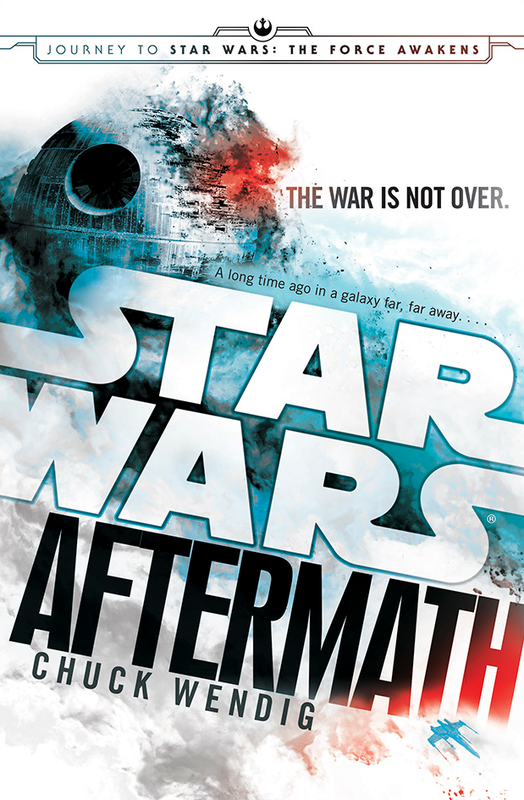 Star Wars Aftermath: Empire’s End, Chuck Wendig: It’s just as the title says: not only is this the ending of the entire Aftermath trilogy, but we finally learn the mysteries behind the Battle of Jakku, which has been mentioned all over the new canon (Lost Stars, Battlefront, The Force Awakens, etc.). Oh, yeah, and the Empire ends. 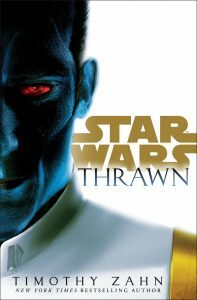 Star Wars: Thrawn, Timothy Zahn: This is the big one. I can’t even believe I’m typing “Thrawn” and “Zahn” in the same sentence. Thrawn’s creator and author of the beloved (but non-canon) Heir to the Empire trilogy Timothy Zahn returns to Star Wars with the canonical version of Thrawn’s origin. I can’t wait to see what old elements remain, but I’m even more excited for the new twists. Fingers crossed for a Rae Sloan appearance! Adventures in Wild Space, Tom Huddleston, Cavan Scott: A middle-grade series of novels already published in the UK, this series will be released with new cover art in the US this year. It doesn’t seem likely that these characters will make an impact on any other aspect of the Star Wars story, and it seems to be along the same lines as The Freemaker Adventures in terms of canonicity. 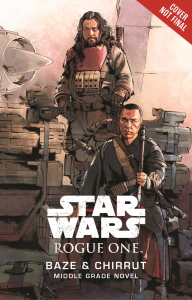 Rogue One: Baze & Chirrut, Greg Rucka: I have heard podcast after podcast yearning for more backstory on Rogue One’s breakout characters Baze Malbus and Chirrut Imwe, so I’m giving this book a shout-out. Written by Greg Rucka, this novel will give you the backstory meat you crave, and it’ll do it with grace and style. 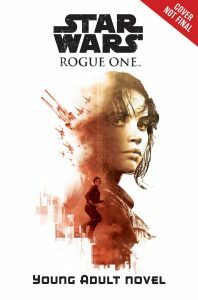 Rogue One: A Star Wars Story, Novelization (Young Adult), Beth Revis: This intrigues me, as we don’t know much about it and don’t know why it’s necessary, but we can only hope it gives us more of Jyn’s terrorism days! (Or maybe that’s just me.) Beth Revis is also a huge name in YA science fiction, and for good reason, too, so that alone is worth it for me. Star Wars (Marvel Comics), Jason Aaron, John Cassady, Stuart Immonen, misc. Okay, so this is tough. For whatever reason, the comics are allowed to do major things with major characters that the novels, and sometimes even the TV shows, can’t. Luke confronts Vader and fights Boba Fett. We get flashbacks to Luke’s childhood. We learn that Han has a wife (sort of), and that Luke fought as a Jedi gladiator. There would be riots in the streets if those things happened in the novels, but for some reason, in the comics, it’s okay. It’s completely canon, mind you, but it’s okay. And I’m not complaining — I love that stuff. I think Jason Aaron is one of the best working comics writers right now, and he never fails to come up with fresh, wild places to take our favorite characters. The art, too, is incredible; John Cassaday made a rare return to comics with the first arc, then Stuart Immonen took over and blew it out of the park with his sleek, fluid character designs. All that being said, there are a lot of low points in this series. You can almost hear the Story Group telling Aaron to slow down when things get too interesting. It’s really unfortunate, because now we’re stuck with action-packed-yet-somehow-dull prison breaks and increasingly uninteresting Obi-Wan flashbacks. I’m not saying these comics should go to deep, interesting places in the primary lore, but it’s very obvious, too obvious, when they’re trying to avoid doing so, and the book suffers for it. Furthermore, none of the comics characters show up in any other novels; not even a mention. It’s almost like the novels and comics exist exclusively within their own version of canon. It doesn’t get more canon than a comic all about the Big Three. Starting immediately after the climactic Battle of Endor, we follow X-Wing pilot Shara Bey as she goes on major clean-up missions with each of the Big Three. Awesome art, great writing, and it all ended too fast. 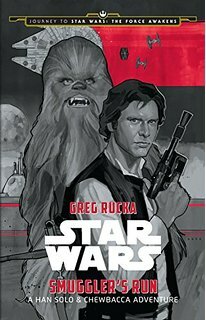 Greg Rucka needs to be writing more Star Wars comics. Not only do we find out about what the Emperor had planned for his home planet of Naboo upon his death, but Shara Bey is the mother of Poe Dameron. This is also one of the rare adventures of Luke Skywalker before he goes off to train Ben Solo, or whoever. Who knows what Luke is ever doing. 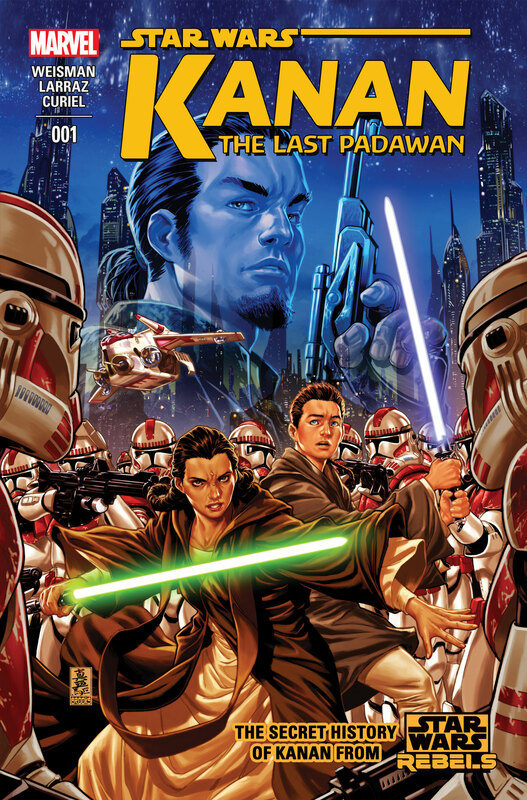 After Kanan, this is the second ongoing Marvel Star Wars series to end, and I’m sad to see it go. It digs deep into the cyborg aspect of Vader, and gives us a sense of how such a cold character operates on a day-to-day level. It also gives us tons of insight into how he perceives the Emperor, and vice versa. This series was bonkers and I loved it. There was one arc that just wasn’t all that interesting, but I loved it all, even the cyborg Mon Cal. Look, it may technically be canon, but the chances of any of this stuff showing up anywhere else are incredibly slim. But it’s Kieron Gillen. What did we expect? I can’t believe this is a thing. An ongoing series taking place so close to the TFA is very rare thing, and we should thank our lucky stars every night that we have this. It’s pretty light book, in both plot and tone; I know that’s vague, but I don’t know how else to say ti. It could use a lot more meat on its bones. The downside of a book taking place so close to the TFA timeline is it can’t have any huge canonical revelations for risk of stepping on something else’s toes. The writer, Charles Soule, probably doesn’t know anything more than we do about the state of the galaxy; he just gets to come up with fun, inconsequential adventures for Poe and his squadron. There are some callbacks to Aftermath, which stars young Snap Wexley, and to the Jedi-obsessed Hutt who shows up in Star Wars. 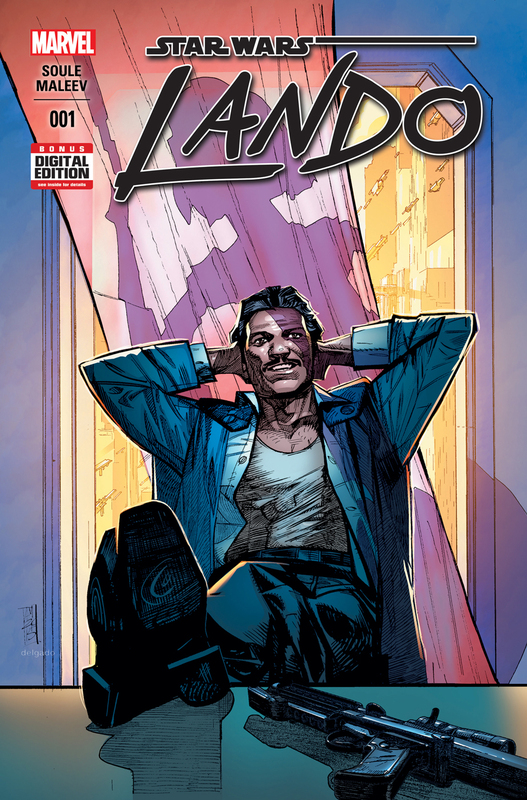 Lando Calrissian, his buddy Lobot, and a few others team up to steal the Emperor’s personal ship, and they get caught up in some unexpected Sith mumbo-jumbo along the way. Fans seem to place this high up on the comics hierarchy, but I was a bit bored by it. I’m also not the biggest Soule fan. I can’t put my finger on why. He writes a good story, but it never feels… fresh, I guess? He does an awesome job every time, he’s just good enough that he keeps getting amazing projects, but he doesn’t have much of a voice as a writer. We get Lobot’s backstory, as well as some cool secrets about Palpatine and his Sith artifacts. Immediately after A New Hope‘s medal ceremony, Leia deals with her grief over Alderaan by seeking out the survivors. 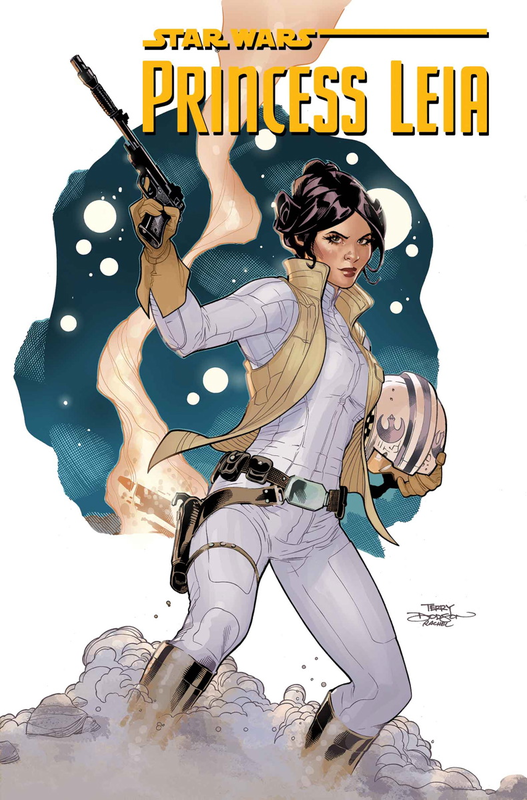 Written by Mark Waid, one of the comics industry’s most acclaimed writers, this five-issue mini-series answered one of the big questions of Star Wars: why isn’t Leia sad about Alderaan? I love Waid’s writing, but I couldn’t get into it this time; it was just too convoluted for me. I think if I read all the issues together, I’d have enjoyed it more. Surprisingly, I think I liked Brian Wood’s take on Leia’s grief in the 2012 Dark Horse Star Wars series of the pre-canon days. Leia’s Brienne of Tarth-inspired pilot, Evaan, plays a role in one of these books (not spoiing which! ), and so do the Alderaanians. Otherwise… not much to worry about here. 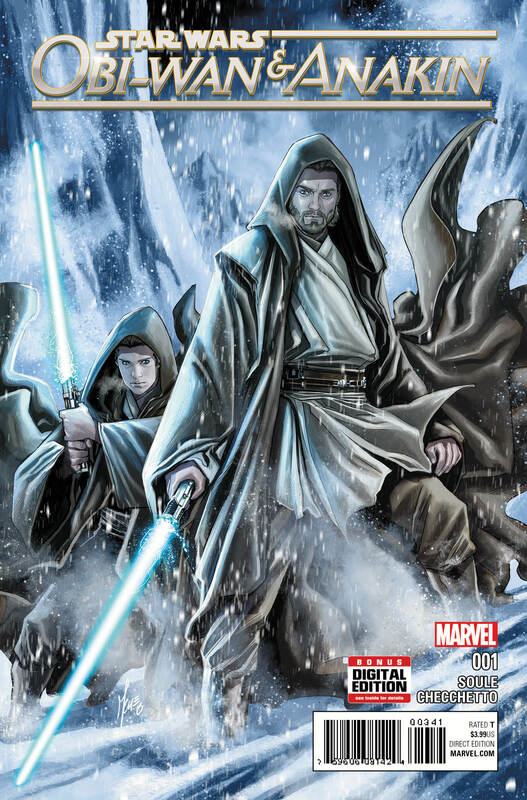 Everyone’s favorite Jedi duo go on a mission to an arctic steampunk-ish planet, interlaced with never-before-seen hang-out sessions between Anakin and Palpatine. The Anakin/Palpatine stuff was interesting, but this was another case of Soule busting out another basic adventure; not bad, but not very interesting. After five seasons of The Clone Wars and three movies, I would’ve preferred something new, like an Obi-Wan and Qui-Gon adventure. Again, just for the Anakin/Palpatine stuff; otherwise, it’s entirely forgettable. Kanan is the first time we’ve seen a padawan on the run immediately following the events of Order 66 — and he learns to break the rules, fast. Originally planned as a mini-series, its success allowed it to be ongoing, until its untimely end with issue #12. 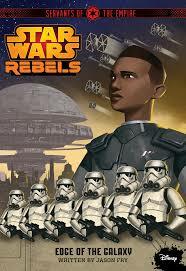 Written by Greg Weisman, one of the original showrunners of Star Wars Rebels, and illustrated by the super talented Pepe Larraz, this was a fun, adventurous prequel-era romp, a rare thing in the age of the sometimes overwhelming Original Trilogy nostalgia. This series showed us the underworld in a more fun way than the other recent stuff, as well as some cool ships and alien designs. 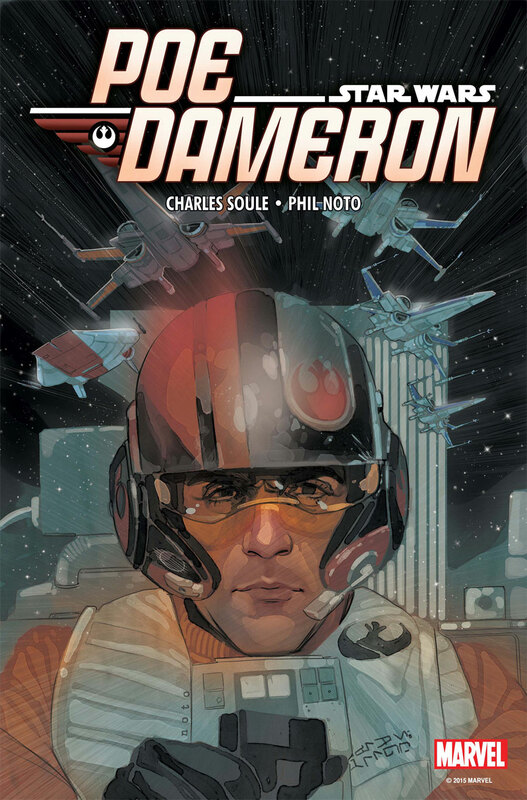 Pepe Larraz is probably my favorite Star Wars comics artist, and I hope he does more soon. 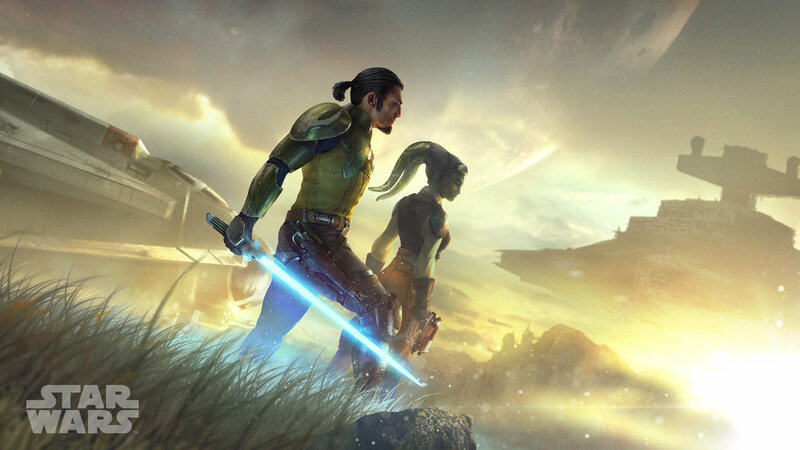 While this is the official origin of Kanan Jarrus, the overall implications of the series don’t have too big of an impact on Star Wars as a whole, especially since the general focus of Star Wars storytelling is currently away from the prequel era. Who knows how much Kanan himself will even matter by the time this is all said and done? Kinda sad to think about! Ever wonder what happened to Chewbacca after A New Hope? Probably went off with Han somewhere, right? Well, not here. After crash-landing on an Empire-occupied planet, Chewie teams up with a snarky young girl to help free her enslaved people. I was really excited for this one. Phil Noto has been a fan-favorite Star Wars artist ever since his The Force Awakens mock-up poster went viral, and he doesn’t disappoint here, but the story itself seems thin. It’s stretched quite thin over five issues, and Duggan’s writing doesn’t really do very interesting things with Chewie’s dialogue. This would’ve worked well as a silent comic, perhaps, but instead, we get the same old “ARRRRGHHHH” word balloons. Sigh. Poor Chewie, always portrayed so animalistic! Uh… you find out why Chewie “didn’t” get a medal at the end of A New Hope? If that doesn’t convince you to pick up the trade paperback, nothing will! Following several major character-themed mini-series such as Princess Leia, Lando, and Chewbacca, this series takes on one of fan-favorite Han Solo’s post-A New Hope adventures. We get a glimpse into Han’s experience with racing, as he enters the most dangerous race in the galaxy as a mission for the Rebellion. But he wants to win, too. This is hands-down, for me, the best comic series of the new canon, and I hope it’s an ongoing. It’s pure smuggler, cantina-esque shenanigans, featuring very little of the military strategy/jargon that often turns me off from OT-era stories. Instead, we get a fun, rich, fast-paced race through the galaxy, featuring interesting, sometimes mystical, characters that somehow remind me of the best parts of Episode I: The Phantom Menace. And by rich, I mean you’re getting your money’s worth. A comic like Darth Vader is gorgeous, but it’ll take you two minutes to read. This comic is loaded with text and story and depth, but not in a way that slows it down. 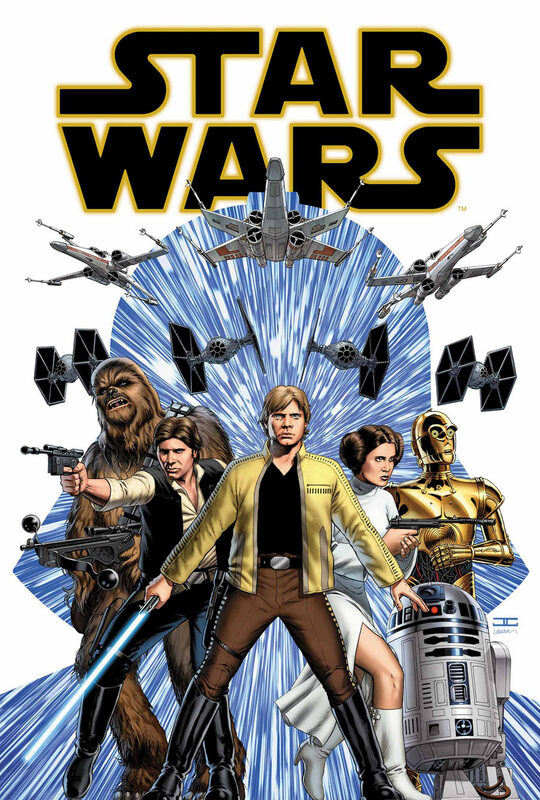 The art is also amazing — some of the best of the comics — and was famously purchased by the Maker himself, George Lucas. 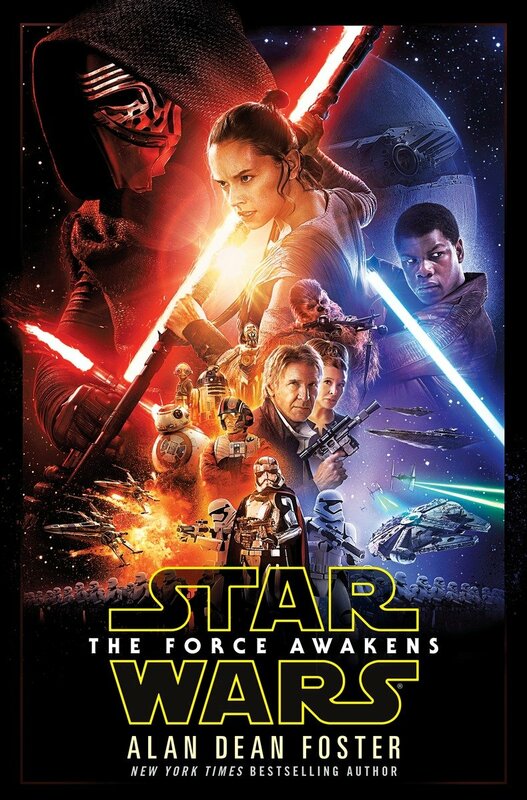 So far, the only two implications this series has for the larger continuity are: the canonization of General Cracken, an old Star Wars RPG character, and Han’s past and interest in racing, which was revealed in The Essential Guide To Star Wars: The Force Awakens to be Han’s primary passion following the events of Episode VI: Return of the Jedi. 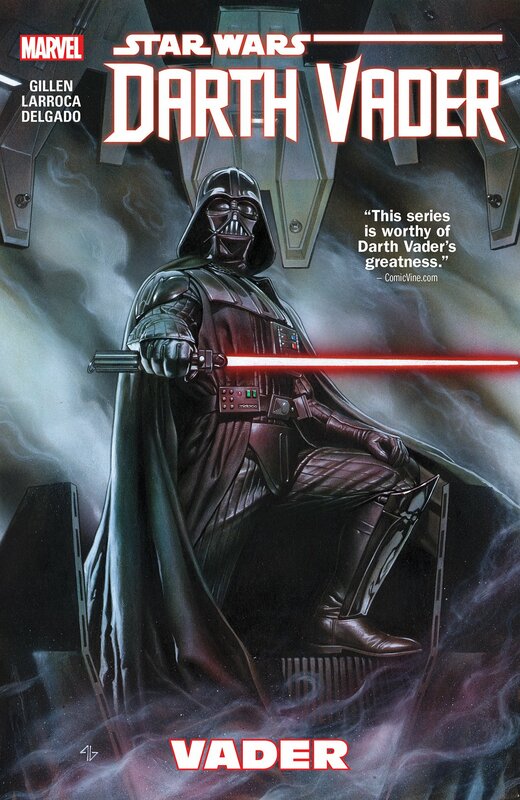 This was the teased post-Darth Vader series, and almost everyone expected it. In fact, its mere announcement was a huge spoiler for the final issue of Darth Vader, as that issue hinted at Aphra’s death. In this series, Aphra is free from Vader’s leash, as he thinks her dead, and she is back at what she does best: really shady archaeology. And it turns out, that’s a lot more interesting than you’d think. I was not thrilled about this series announcement; I was hoping for something more related to Rogue One or The Force Awakens. Even the first issue lived up to my low expectations. However, issue #2 blew me away, and I’m completely on board. I love the deep mythos of the Star Wars universe, and this issue answered a huge, but inconsequential, question I’ve had for ages. Archaeology in Star Wars? 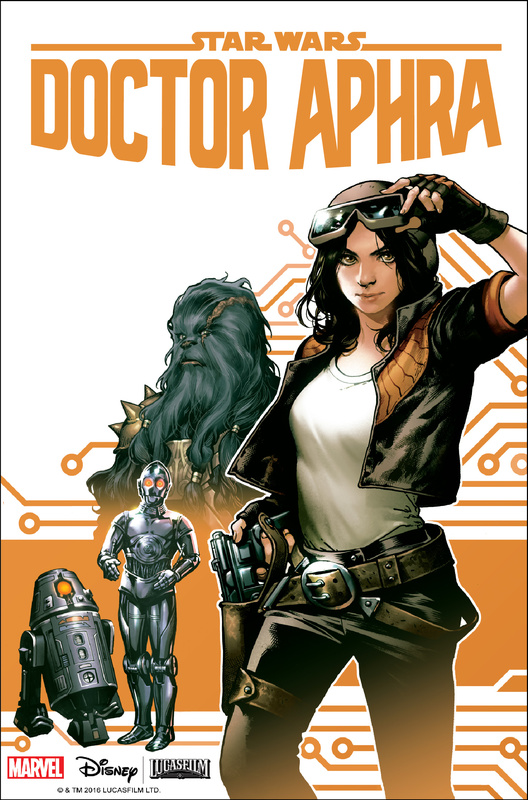 While I don’t care much for Aphra as a character, this series the place to learn about the deep, dark history of the Star Wars galaxy, from the Force to the Jedi to everything in between. 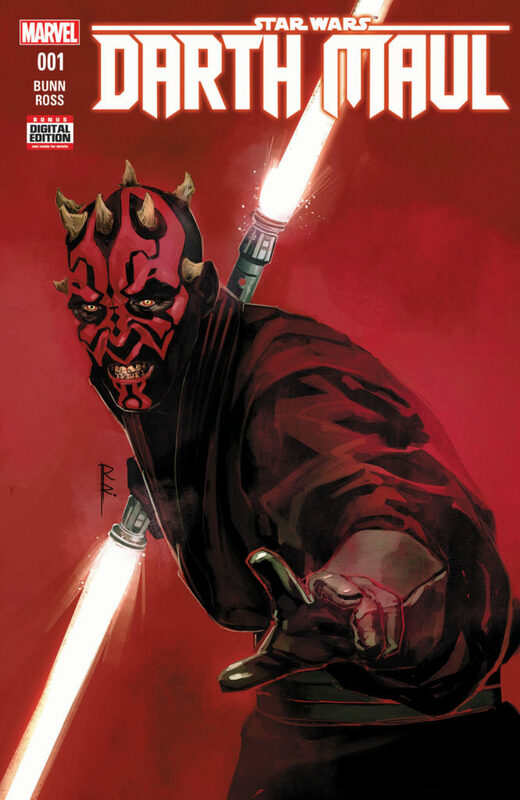 Cullen Bunn is writing this series about the Sith days of Darth Maul, prior to The Phantom Menace. Frustrated with his mission to keep hidden from the Jedi, Maul finally gets the rare chance to face a Jedi in a mission so dark and secret that even his master Darth Sidious is unaware. Pre-TPM is my favorite era, and so rarely explored since the film’s release. I’m not usually a fan of Bunn’s past work — he often strikes me as Marvel’s go-to fill-in guy — but I cannot wait for this one to prove me wrong. Thanks for checking out our guide to the “new” Star Wars canon; hope it cleared things up for you! We’ll try to update as more items are released. Don’t forget to follow us on Twitter @RandomChatter, as well as our Star Wars-centric podcast Echo Base @EchoBasePodcast and our new Star Wars Rebels podcast Ghost Stories @GhostStoriesPod! If you want to see weird tweets about mostly non-Star Wars things, you can follow me @tiboonda!